Want a new pair of running shoes? 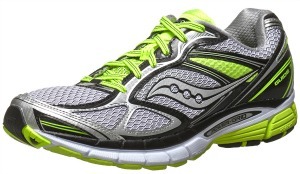 Then hurry over to Amazon.com for today’ best bargain, 50% off Saucony Guide 7 Running Shoes for women and men! These Saucony running shoes offer light stability to help prevent your foot from rolling inward, plus plush cushioning for extra spring—all in a lightweight, flexible, and durable package. 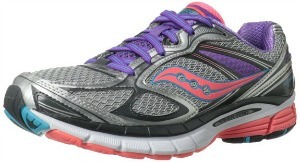 Check out this cute and high performing Saucony Women’s Guide 7 Running Shoe for just $59.99 (Regularly $120.00) with FREE shipping! It comes in a variety of fun colors and styles. For the men you can pick up this highly rated Saucony Men’s Guide 7 Running Shoe for only $59.99 (Regularly $120.00) with FREE shipping! Like the women’s running shoe, this shoe comes in a good selection of colors and sizes. Head on over to find what meets your needs. Happy Shopping!